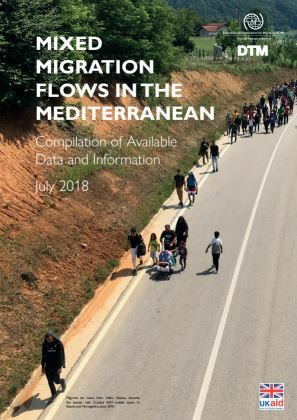 Looking at the overall arrivals (by land and sea) the Eastern Mediterranean route is the most frequently used route toward Europe; the Greek authorities registered a total of 27,112 new arrivals this year which is the highest figure reported among the three frontline countries - Italy, Spain, Greece. In contrast with the previous years, when sea arrivals dominated, land arrivals in 2018 comprise a significant share (41%) of all arrivals registered so far. The 11,050 land arrivals between January and end of July 2018 represent six times increase compared to the 1,889 reported in the same period last year and the 1,865 reported between January and the end of July 2016. Further on, it is double the 5,551 land arrivals registered in the whole of 2017 and three times more than the 3,292 registered between January and December 2016.